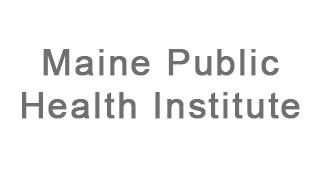 Maine Public Health Institute (MePHI) is based in the Muskie School of Public Service at the University of Southern Maine in Portland, Maine. The Institute has over 50 faculty and staff and national and state-level research and evaluation, demonstration and technical assistance, and training programs funded by state, federal, and foundations sources. MePHI’s work bridges the disciplines and cultures of public health and health care. The Institute provides policy, evaluation, and data analytic support to Maine’s Medicaid program and evaluates a number of public health initiatives. For example, staff are working with one of Maine’s largest health systems to evaluate a local Partnerships to Improve Community Health project funded by the Centers for Disease Control and Prevention. The Institute is involved in many quality and patient safety initiatives, including Maine’s, Improving Health Outcomes for Children demonstration funded by the Centers for Medicare and Medicaid Services in which Institute staff collaborated with many state and local public health, primary care, and quality improvement agencies and organizations to improve Maine’s childhood immunization rate from 68% in 2014 to 84% in 2015. Through the Maine Rural Health Research Center and the Rural Telehealth Research Center, Institute staff are engaged in rural health policy and research projects related to insurance and healthcare access, behavioral health, substance use, rural hospitals and clinics, and telehealth. MePHI seeks to improve the health and quality of life of Maine’s citizens. Get in touch with the Maine Public Health Institute. This presentation compares the utility of descriptive, predictive, and impact data for infographic development, strategies for establishing a common data agenda in peer network and multi-partner collaboration settings as well as the importance of data visualization in public health. Andy Coburn (Maine Public Health Institute) leads discussion about public health institute strategies and tools for supporting health systems’ community health improvement programs.